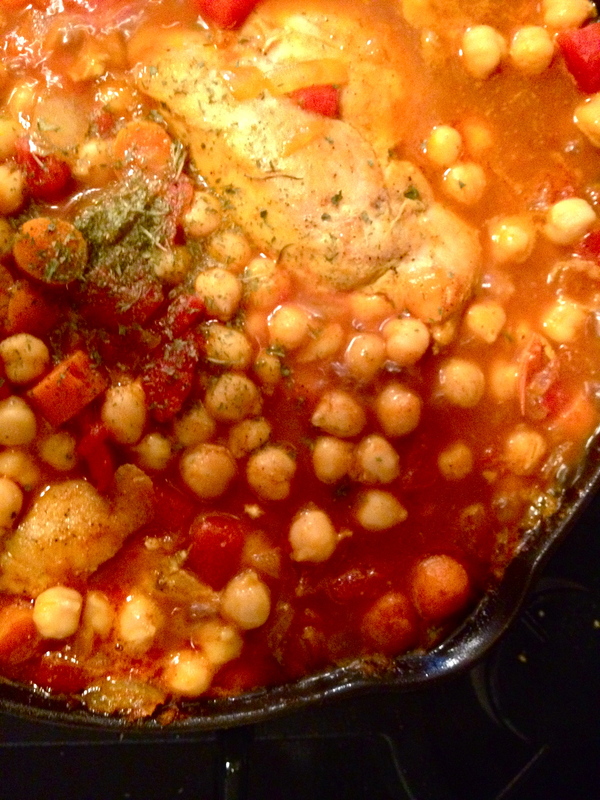 Spiced Chicken and Chickpea Stew. 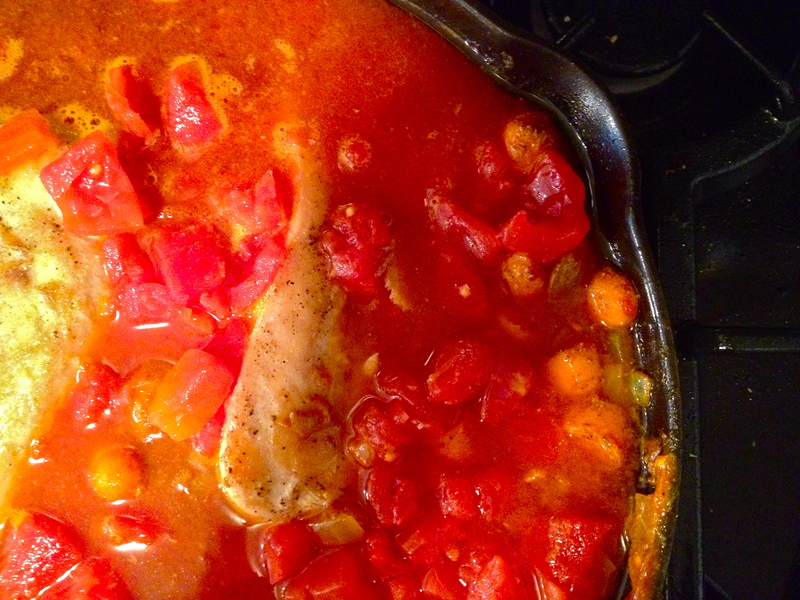 There’s nothing like a hearty and healthy stew on a Saturday afternoon in Fall. This spiced chicken and chickpea one-pot meal was a fun little cooking adventure because I don’t often use flavor combinations like these. Especially the cinnamon. I’ve never been brave enough to try cinnamon in a savory meat dish before, but I’m glad I did! 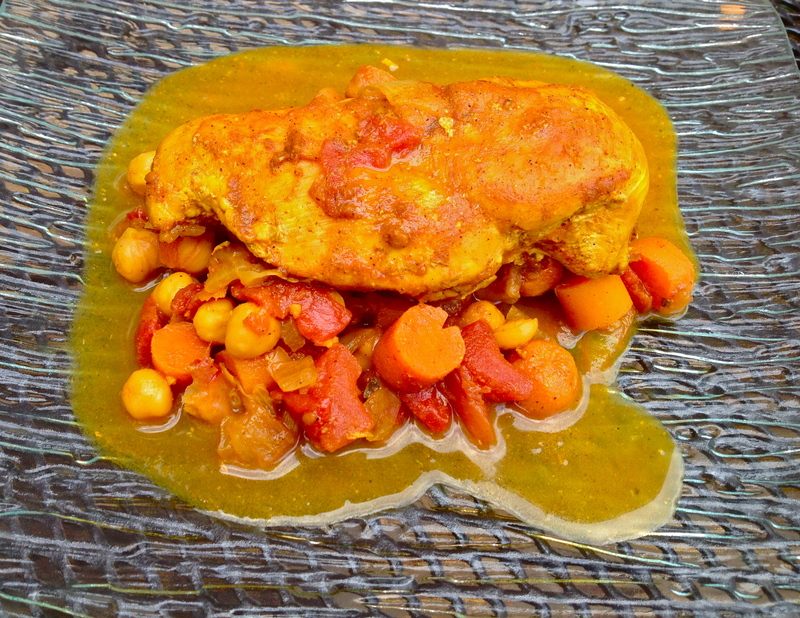 The heat of the paprika and cayenne provide an great backdrop for the smokey exotic cumin and cinnamon. This is a filling dish that keeps well in the fridge—the bright spice flavors get even deeper if they’ve had a chance to marry a bit. Kidney beans or great northern beans would work just as well as chickpeas, and if you wanted to make this dish vegetarian or vegan, just cut out the chicken and add an extra can or two of beans. It’s all about protein and spice! Season each chicken breast with salt and pepper. Heat oil over medium in a skillet or other large pan. Brown the chicken on each side, then set aside. In the same pan, add another drizzle of oil if needed and stir in the onion and carrot. Sprinkle with a bit of salt, to keep the onion from browning. 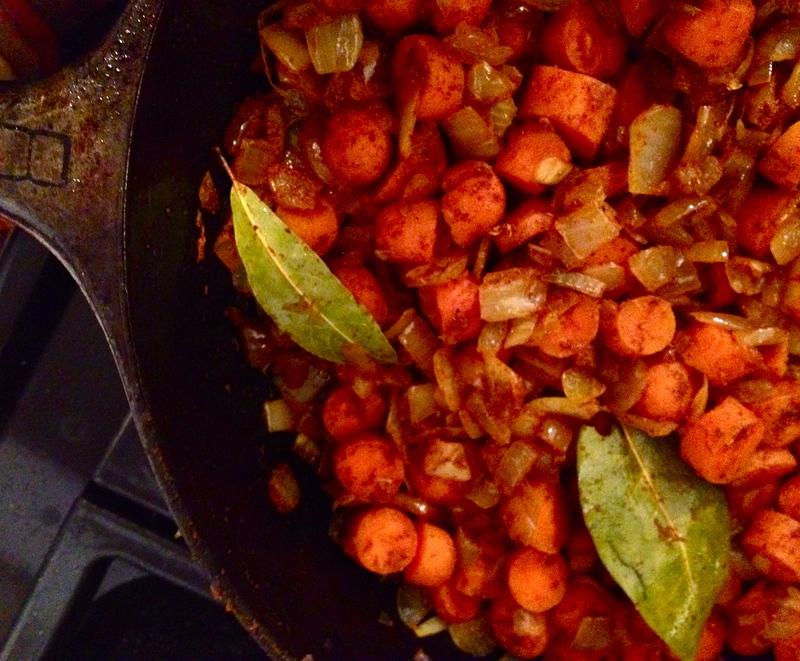 When the onion and carrot are softened, add the bay leaves, paprika, garlic powder, turmeric, cayenne pepper, cumin, and cinnamon. Turn the heat up a bit and cook the spices until fragrant, about 2 minutes. Then add the ketchup, and put the chicken breasts back into the skillet. Add the tomatoes, and then fill the empty tomato can with water and pour into the pot. Stir and bring to a boil. Turn down to a high simmer and cook for 10 minutes. Stir in the chickpeas and sprinkle over the parsley. Cover and simmer for about half an hour. Remove the bay leaves, sprinkle with lemon juice and more parsley, and serve with couscous.